The marriage of Prince Harry and Meghan Markle drew tens of millions of viewers and an absurd number of newspaper lift-outs. Here's how it went down around the globe. The traditional summer lull of non-ratings television has long been in place to offset costs for the year ahead, but could it be turning viewers away for good? Double the ratings boxes: more accurate OzTAM figures? 10,000 households will take part in Australia's TV ratings measurement system from next year. What ever happened to our love affair with Sorkin's writing? For starters, the world is a very different place to when Jed Bartlet ran the White House, explains Daily Review writer Peter Green. Seven won the night with My Kitchen Rules, crushing Ten's line-up which is setting new lows each night. Last night was competition central, with brave warriors battling it out in cricket, tennis and weight loss. How much would you pay for Channel Nine? You get more than a choctop at the movies with Peter Hall. And Collette Dinnigan says for god's sake, brighten up. What's life like as one of the precious few Australians that decide what you watch on TV? 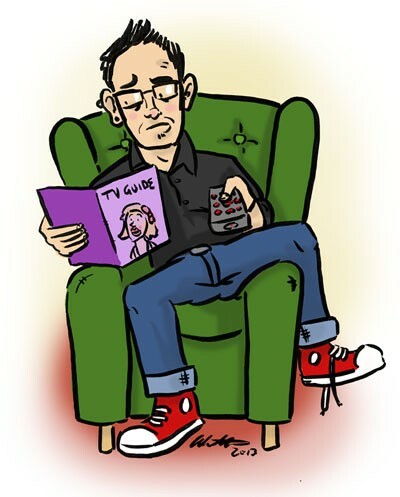 Wes Mountain writes for The Citizen on manipulating his Nielsen box.